These are the most common insurances accepted by Dentists in Louisville, KY.
Dr. Wentworth is the BEST! I have been seeing her for many years along with everyone else in my family and we have all been so happy with our experiences here. After several bad experiences with other dentists in other towns where I have lived in recent years, I have been relieved to return home to Louisville to have someone I trust to take care of my teeth. I absolutely recommend Dr. Wentworth to everyone!. Dr Wentworth is the best dentist I have been seen by , very patient and caring , super clean office and couterous staff .Mark Warner. Lovely dental practice with cheerful staff. 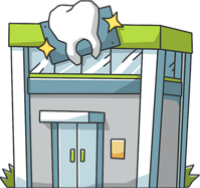 My experience here was delightful and the Dentist, Dr. Wentworth took very good care of me and my teeth..
Neat website, way to go Doctor. You be sure to tell the TOOTH, the WHOLE TOOTH, and NOTHING BUT THE TOOTH, as your Dad used to say. MGVealMD. Eric is my brother and I can say with all honesty and sincerity that he is a professional of the highest integrity. He is also very gentle and loves to make people feel at ease while they are in for a visit. Heck, he might even make you laugh, too (without the laughing gas of course). I trust him implicitly with all my families dental needs..
You don't get any better than Eric Veal. Top-notch person and professional..